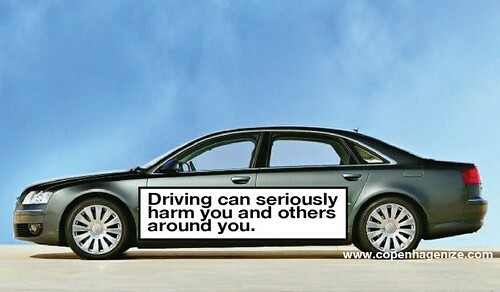 Readers may recall Copenhagenize's call for logical campaigns - why not legislation - for health warning on cars, like the ones we see on cigarette packets. This features in the talk I give in many cities: Four Goals for Promoting Urban Cycling. It always gets a laugh and often gets a mention in the press coverage of the talks. You can then imagine my thrill upon recieving the following photo from our reader Marián, in the Czech Republic. "Driving a car harms you and your environment"
Brilliant. 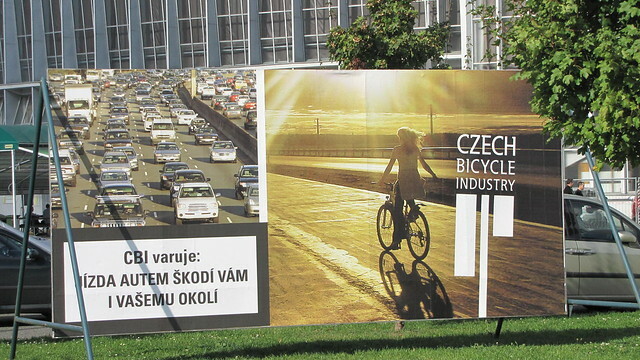 Okay, it's a Czech Bicycle Industry advert at the Bike Brno 2010 Expo and not a government campaign but hey... this is a brilliant start. And much needed in the Czech Republic. Prague is a black hole on the map regarding urban cycling. Bicycles are returning to the strangest cities these days, but Prague hardly registers on the map. 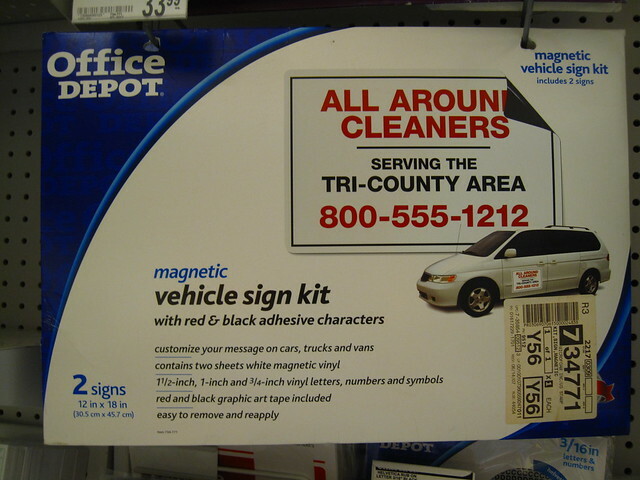 Anyway, when I was in the States last year I saw this at Office Depot - let's get producing them.